Henrik Fisker tweeted this photo of the EMotion, which will debut Aug. 17 during Monterey Car Week. 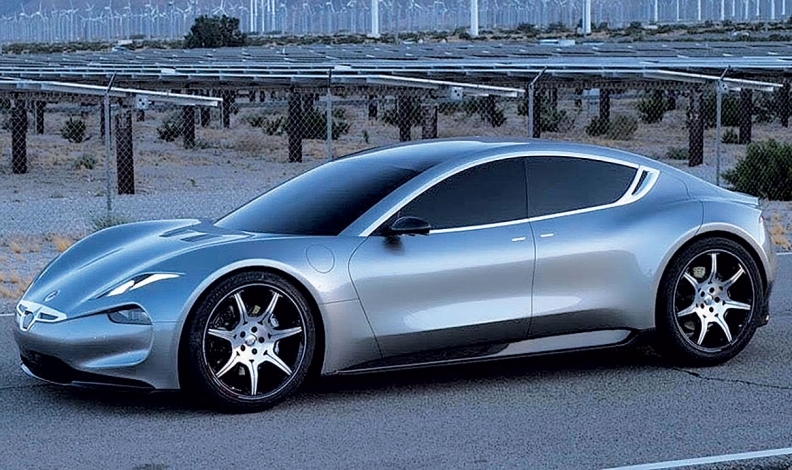 The Fisker EMotion electric vehicle will have a 400-mile (644 km) range and a nine-minute charging time, with autonomous and connected capabilities, according to a tweet by its designer, Henrik Fisker. The EMotion is pegged as a rival for the Tesla Model S, which has less than a 350-mile range. Fisker’s EV, teased in October as the “spiritual successor” to the Fisker Karma electric car launched in 2012, is to debut Aug. 17 during Monterey Car Week in California. It is the first vehicle produced under the successor to Fisker Automotive, which was sectioned off in a bankruptcy auction in 2014 and now is owned by China’s Wanxiang Group. The group was subsequently renamed Karma Automotive. Pricing for the EMotion is expected to start at $129,000 in the U.S., the company said in a statement, with orders opening June 30.